Are you willing to create the change you want and see consistent results with your leadership? Noa engages her audience in matters ranging from accepting the different, through change and conscious leadership. Drawing from her out of the box angle and thought provoking style Noa uses humor to emphasize the positive, and inspire her audience to be the person they want to be. From keynote speeches to team workshops each talk is delivered with humor, messy stories and actionable strategies that your audience can implement right away. As an executive who led many change processes, Noa had to recreate her career after her own relocation experience. The result is a view of the world that anything is possible with the belief that you are resourceful creative and can lead yourself differently. You can see your situation from a new perspective and inspire others to join you on your vision. From keynote speeches to team workshops Noa invites her audience to think differently, to define their own norms so they can lead the change they care about and be the leader they want to be. There are many tools and techniques to help us be better leaders or business owners. The problem is that when we go back to the office there are too many distractions that keep us from implementing those tools and create consistent results. Noa invites her audience to explore a new way of being that creates a new mindset, where the audience can engage the different tools (actions) with their being to create the results they want. This is where they move from awareless to awareness, or what Noa calls: Balanced Leadership. The audience will leave equipped with the DARE model that provides the structure and actionable steps of self leadership and self reflection. The tool helps them create new-conscious choices that produce consistent and sustainable results. Who is the Leader You Are Not Daring Yourself to BE? The Beauty of Being Lost when you Lead a Change. Conscious Leadership From Awareless and Awaremess to Awareness. Creating Balanced Leadership. The heART of Conflict Stop Fixing People and Lead them to Better Relationships. The model is a leadership map. It provided the audience with the GPS coordinates for their decision making process. The audience learns how to use the model to self reflect in a way that includes not only the doing but also the being components as part of their decision making process. Noa designed this model following a study with over 200 people on the topics of conscious leadership and the being of leadership. This model meets the individuals where they are rather than fitting to Noa’s model. We all learn early in life that our actions are what will take us far so we focus on doing. But in some areas in life, like leadership or change doing alone will not bring the wanted results. What can we do? In this talk Noa invites you to shift from the doing of leadership to being a leader. Learn the DARE model and be the leader you always dared yourself to be. This thought providing talk invites the audience to not just think about how they view the world and themselves but how to actively promote conscious conversations as leaders. How can we stay on the path of change when barriers arise and we feel lost? This talk invites you to see change from a new perspective, feeling creative and equipped with the DARE process which allows you to make conscious decisions that engage your being and doing. This high-energy talk invites the audience to not just think about how they view the world and themselves but how to actively lead change differently . Ready to book Noa or have questions? DisruptHR Event Brings TED-like Talks on Talent to Triangle “Before Noa Ronen, owner of Noa Ronen Coaching in Raleigh, started her talk at DisruptHR last night, she made one thing clear to the audience: “If you’re wondering where my accent’s from I’m from Israel—that’s it, we’re done, now you know it so you don’t have to think about it,” she said as the audience let out a laugh. 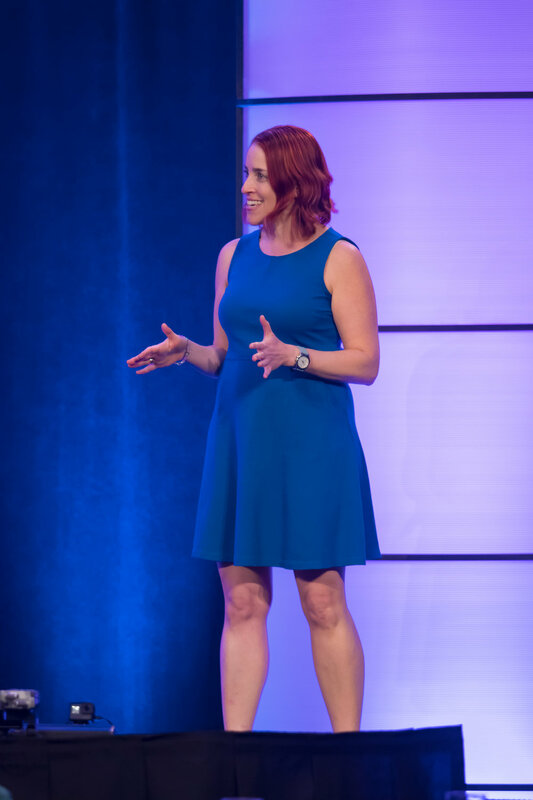 "Noa Recently provided the capstone speech to the Leadership Girl Live Summit, where she skillfully wove together the content from the weekend, and tied it up with a bow. Her speech was interesting, entertaining, and relevant to the rest of the event, and she did a great job of getting, and keeping the audience's attention, and helping set intentions moving forward. "It is my pleasure to recommend the brilliant and talented Noa Ronen. 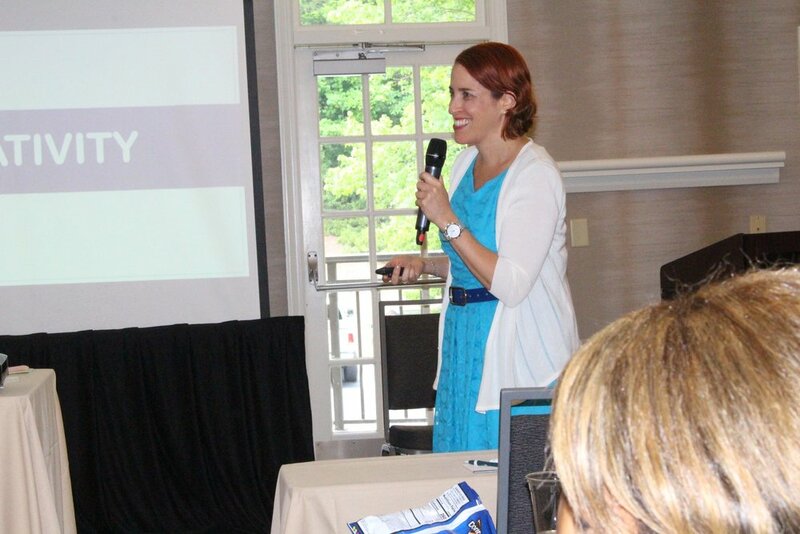 Noa spoke at our group FemCity Raleigh Luncheon. Noa, has an inherent ability to engage her audience from the moment she walks into the room. Through thought provoking presentations and engaging stories, she ensures you have the “aha” moment and leave with knowledge that is useful for you, specifically. I endorse Noa and all her capabilities. Feel free to reach out to me if you like in-depth information." Annie Freed, NC Broker Real Estate Realtor. Funding President FemCity Raleigh.